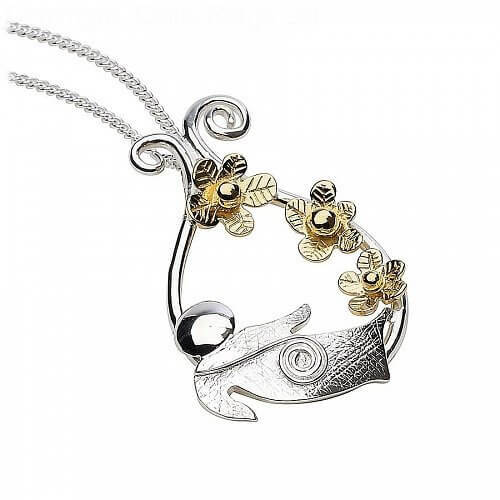 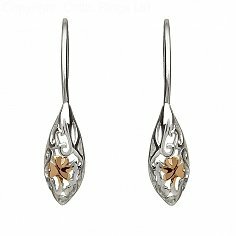 A stunning Sterling silver pendant with three 18k gold vermeil flowers and fairy child. 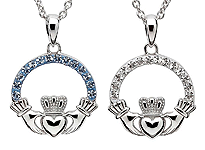 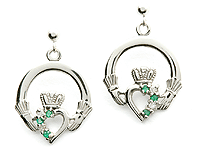 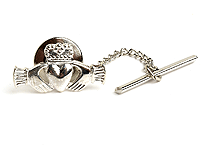 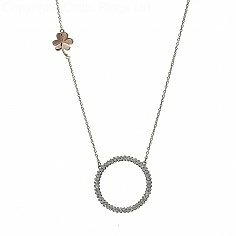 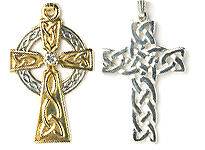 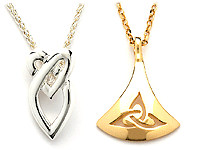 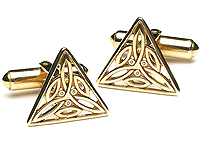 This good luck pendant is the perfect sweetheart gift, spread some Irish luck with this elegant pendant. Presented in a beautifully crafted box and story card to explain the inspiration behind it.